Heat a region of the tank. "Reptiles and amphibians are cold-blooded and in their natural habitat they often use surfaces heated by the sun to warm up. The Exo Terra Heat Mat is a terrarium substrate heater that simulates these surfaces heated by the sun. 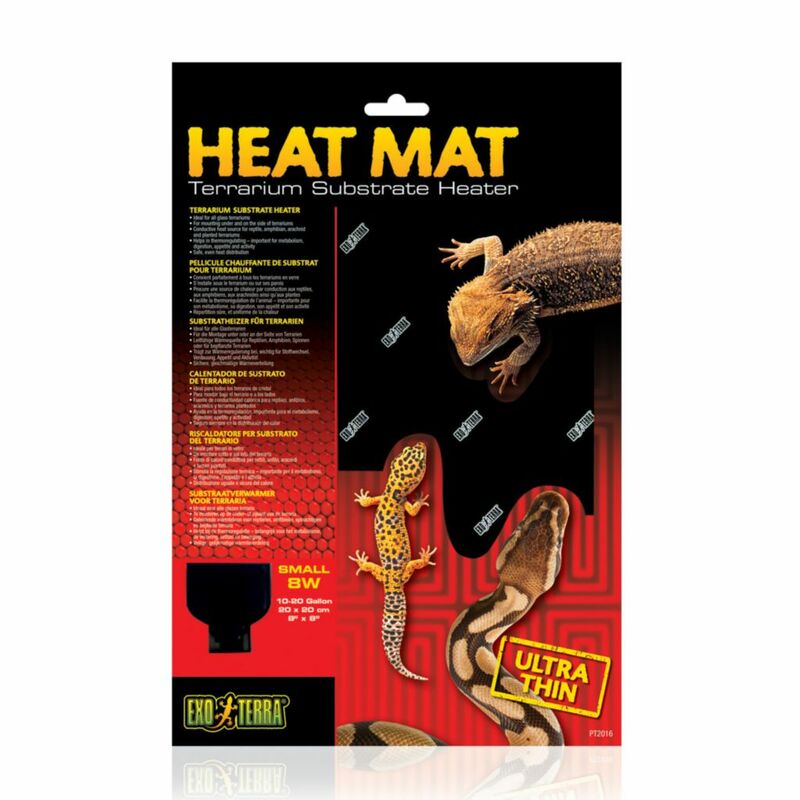 Exo Terra's Heat Mats are an ideal 24-hour primary or secondary heat source for tropical or temperate reptile and amphibian species and essential as a nighttime heat source for many desert species. The Exo Terra Heat Mat permanently adheres to the terrarium, forming a solid bond for optimal heat transfer. Can be used with an Exo Terra Thermostat and/or in conjunction with additional heat sources for higher temperature species.